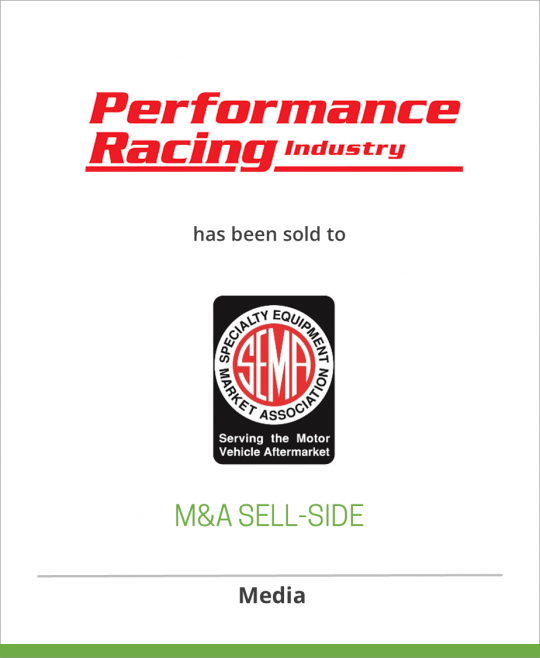 Performance Racing Industry sold to Specialty Equipment Market Assoc. DeSilva+Phillips client, Performance Racing Industry (PRI), producers of the motorsports business magazine and trade show, finalized plans to be purchased by the Specialty Equipment Market Association (SEMA). The transaction is set to close in late March 2012. Lewis, founder and current CEO of PRI, will now be able to dedicate his time and energy to pursue his lifelong passion for motorsports which includes management of his Nine Racing midget team and supporting the racing career of his son Michael, 2011 Formula 3 Italia Rookie of the Year. The 25th Annual Performance Racing Industry Trade Show takes place November 29 – December 1, 2012 in the North/South Building of the Orange County Convention Center in Orlando, Florida. It features exhibits by 1,100 racing companies in 3,100 booths, requiring 700,000 square feet to house the event. 38,000 buyers will attend from across the US, and 72 countries.